9 Ways we can see Einstein's Theory of Relativity in Real Life! When I was growing up, I came across Einstein’s name in my Physics textbook and I became fascinated with his work. Much of my fascination was to do with the wonders of modern cosmology, from black holes to the Big Bang itself. His equations have recently turned out to be useful in describing the physics of earthly stuff too and may still have secrets to give up. Enormous experiments are under way to see how his theories hold in the most extreme physical environments that the universe has to offer. The most extraordinary thing about Einstein is that he developed all his ideas, the most famous of them about relativity with “thought experiments”: careful imaginary assessments of highly stylized states of affairs. In 1907 one of these provided him with what he would later refer to as his “happiest thought”: that someone falling off a roof would not feel his own weight. Objects in free-fall, he realized, do not experience gravity. But the curved trajectories produced by gravity , for example the flight path of golf balls or the course of planets, seemed to imply some sort of pushing or pulling. If golf balls and planets, like people falling off roofs, felt no sort of push or pull, why then did they not fall in straight lines? Einstein is well known for his theory of Relativity, which actually consists of two theories- General and Special. Together these two theories form one of the greatest theories in physics to have ever been postulated. 1. The laws of Physics are the same for all observers moving at a constant speed and in a straight line. 2. The speed of light is the same for all observers, irrespective of their motion relative to the source of light. Special relativity can describe a few things like Moving clocks run slower and moving objects are shorter than our everyday experience would suggest. It also gave us our most famous equation of all time: E=mc². This equation states that energy and mass are equivalent. This theory deals with situations that involve acceleration or curves, like a bend in the path of the moving object. So it explains the “general case” of any motion and forms the basis of our understanding of gravity. It predicted radical things, such as - light is deflected by gravity. It also predicted the existence of black holes. It showed that space and time are flexible and ever expanding. In other words, it meant our universe is ever expanding. Einstein’s theory of relativity is complex. But I’ll try to explain it in simple terms. The theory of Special Relativity establishes a link between space and time. 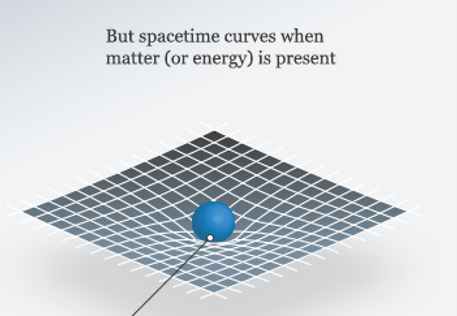 But his theory of general relativity describes the interaction between matter and space-time (I’ll discuss about it below) and how matter curves the spacetime field. What is Spacetime - Universe has 3 dimensions as in its 3d, but it also has a 4th dimension which is “time”. And together, they make up the space-time continuum or spacetime. But if there’s an object with mass generating a gravitational field, it’ll curve spacetime as shown in the screenshot below. And this explains how planets move through the space. They orbit the sun on a curved path because the sun bends spacetime around it. Light - Until Einstein came along and turned physics on its head, people had believed that the passage of time was constant and unchanging. But Einstein said that the speed of light was constant, not time. Time dilation - He also described that two objects in motion-relative to each other will experience passage of time differently. 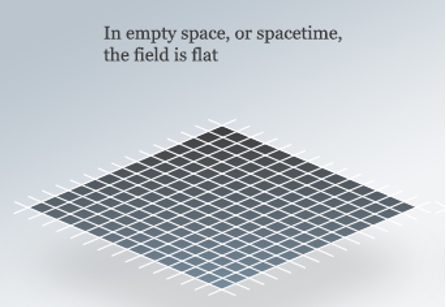 This also occurs if the two objects are in different gravitational fields. So for instance, clocks on the ground and clocks on planes tick at different rates. And the GPS system also has to take time dilation into account to compensate for time differences between devices on the ground and satellites in space (which is a different gravitational field). Enough of this science chitter chatter, I’ll now tell you about the everyday uses of Einstein’s theories. Starting from your waking up in the morning to falling asleep at night, most of it is being shaped by Einstein’s work. You can’t even take a step without smacking into Einstein. Einstein’s paper on the photoelectric effect was just one of several that Einstein issued in 1905 that fundamentally altered how physicists look at the world. 1. ⏰ Your alarm clock wakes you up precisely at 6 am, because it’s synchronized with the government’s atomic clocks and calibrated every second through the Global Positioning Satellite (GPS) circling the Earth. If that Satellite could not correct for the effects of relativity, which is Einstein’s most famous discovery, the GPS signal would have so many errors that their data would be meaningless. 2. Einstein’s formula to measure the size of molecules dissolved in liquids made it possible for scientists, among many other things – to create or improve thousands of consumer products, including better shaving creams and toothpastes. 3. When you switch on the television to check the weather and the traffic, it’s all been possible because of Einstein’s declaration of the photoelectric effect that eventually led to the invention of television cameras and the remotes that control them. 4. Einstein’s identifying of photons led to the development of the advanced electronic inventions of the 20th century. It was his statement of the quantum effect, without which we wouldn’t have cellular telephones or smoke detectors or burglar alarms or those doors that automatically open at the supermarkets or on the elevator. 5. The entire field of computers and semiconductors owes its existence to Einstein. Without him having the work done that he did, we might not have computers today. 6. Compact disc and DVD players use lasers, which Einstein first theorized in 1917 in advancing his work on the photoelectric and photovoltaic effects. We even have lasers now in every supermarket checkout lane. 7. Medical revolutions like the PET scan rest on positrons, the existence of which was implied by special relativity and quantum theory. 8. 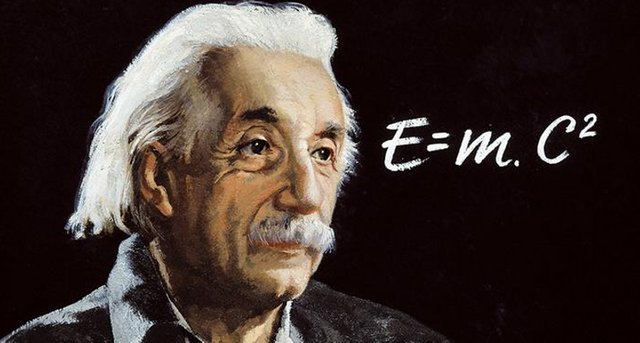 Carbon dating – We can measure how old fossils are thanks to Einstein (E=mc² shows that mass and energy are interconnected, by measuring the degradation of nuclei in atoms of organic materials, we can measure how long they’ve been degrading for). 9. All of our everyday consumer products which owe their existence, in no small part, to manufacturing methods that wouldn’t work without Einstein’s enunciation of the atomic theory of matter. In essence, he proved that atoms exists. It took Einstein more than a decade to complete his theories on relativity, and this post took me just about 2 hours to finish. So I’m not sure if I’ve done justice to the amazing work he’s done. But I hope through me, you’ve learnt a little. I certainly have. This post received a 4.7% upvote from @randowhale thanks to @cryptodog! For more information, click here! Haha, I'm honored @gugly. Glad you liked it. No worries @shane-loomb. Glad you like it. Good question. I was discussing that in many conversations on this article. Come have a look and see if you can bring something to the table lol.